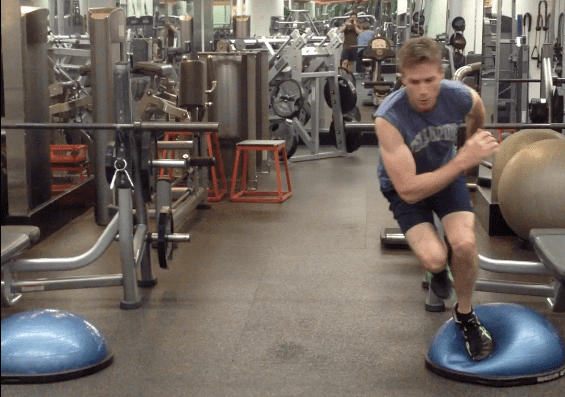 Some of the tennis-specific exercises my trainer and I incorporate into various workout routines to help improve overall strength, power, endurance, on-court movement– and to prevent common tennis injuries. Note: A fellow tennis fanatic who’s also a blogging expert (and knows how much money I spend on tennis!) recently urged me to create “affiliate links” for the ticket sites I have been recommending for years. This way, if you end up buying through a link above, you won’t pay a penny more but the website may give me a small commission versus giving it to Google Ads or another referring site — which, in turn, helps support my tennis obsession and The Tennis Congress, a passion project I do on the side of my regular job. I appreciate the support! Like my “Reminders to Self” page, this constantly-updated page organizes some of the tennis-specific exercises my trainer and I incorporate into various workout routines to help improve overall strength, power, endurance, on-court movement– and to prevent common tennis injuries. Each exercise title below to see a video or description. As I outline in a post on “The Art and Science of Fitness Training for Tennis,” I vary my workouts constantly, depending on specific goals throughout the year and timing of the USTA competitive season. To receive updates when I post new videos, just subscribe to my YouTube channel. Every single player is different, so we all need to develop customized workout programs tailored to our individual goals, needs, athletic backgrounds, and overall health and injury profiles. Ideally, this is done under the supervision of a top-notch certified personal trainer– preferably, a trainer certified by the International Tennis Performance Association (iTPA). If you cannot afford to invest in a trainer on an ongoing basis, I strongly (strongly) urge you to invest at least in a few sessions with an iTPA-certified coach to help you chart your course in a way that safe and effective for you. 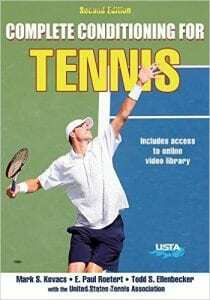 USTA’s Complete Conditioning for Tennis (2d Edition) by Mark Kovacs and Todd Ellenbecker. Mark and Todd are globally recognized leaders in the science and practice of tennis-specific fitness training. SOURCES: Sources and videos for various exercises are linked when possible or noted in parentheses. “iTPA” short for International Tennis Performance Association. “Magnus” is short for Magnus Expand Human Potential, located at CourtSense in Tenefly and Bogota NJ. “Gallegos” is short for NYC-based trainer Jay Gallegos. If no video is linked to exercises, I haven’t found one yet but will try to post one at some point. I am religious about doing a dynamic warm-up before workouts, on-court practices and matches. The old-school gym coach idea that you should do long, held stretches before sports has been debunked by research: today, there is broad agreement that doing dynamic movements before intense activity–whether lifting weights or playing sports–will help athletes perform better and avoid injury. Deep, static stretches should only be done AFTER your workouts; doing them before can increase risk of injury and hinder performance (see background here, here, and here). Dynamic movements prepare the body for intense activity by elevating the heart rate, raising core body temperature to get muscles warm, and activating production of joint-protecting synovial fluids among other benefits. Below are several exercises I incorporate, mixing it up just to keep things interesting.